Come join us on Sunday, November 25th, immediately after the service! We will have a special lunch together! 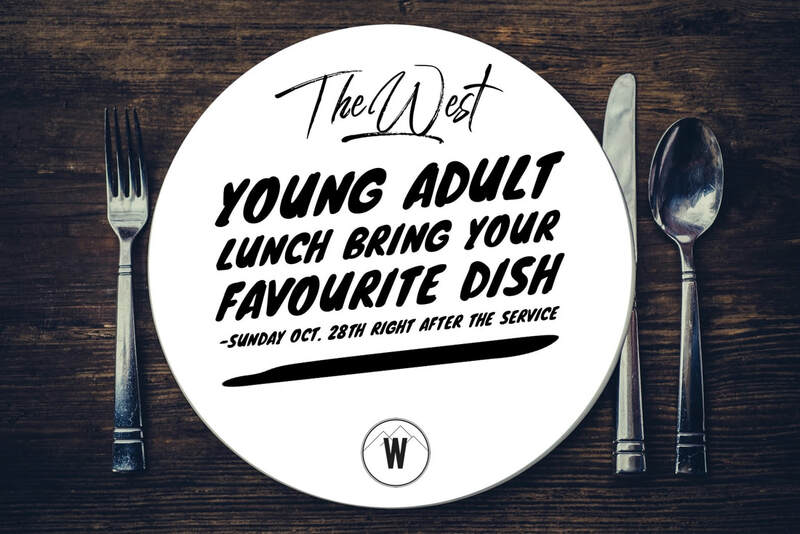 ​after the service on Sunday, October 28th! 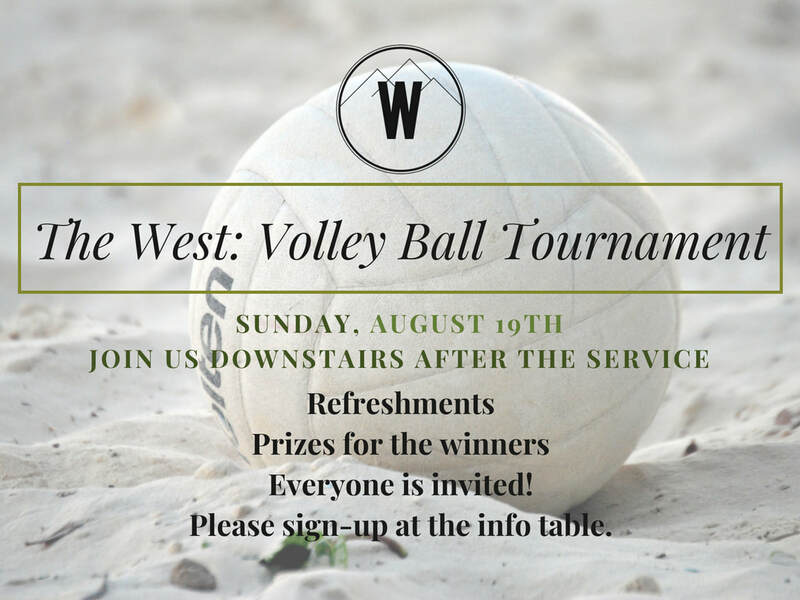 Come join us immediately after the service on August 19th, everyone is welcome! & Pastor Dan will be preaching. 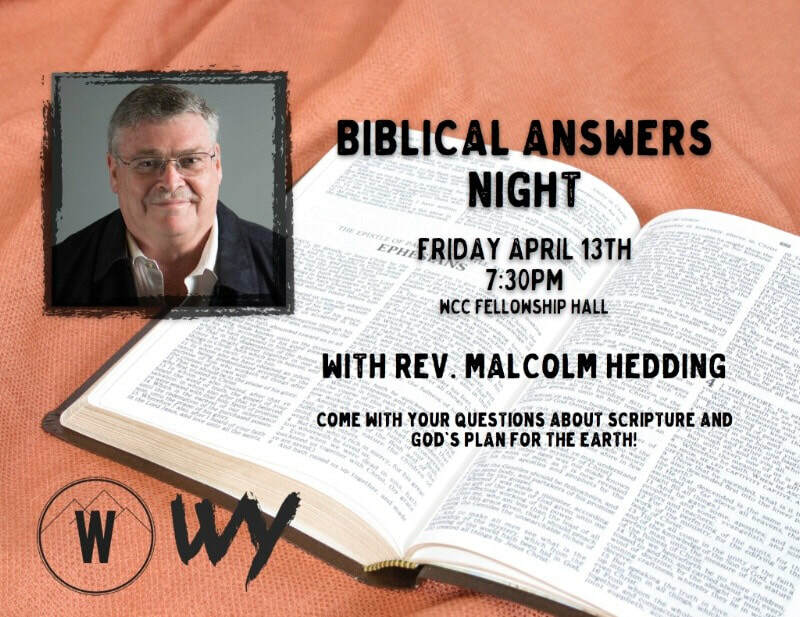 Young adults, come join us at 7:30pm in the Fellowship Hall. 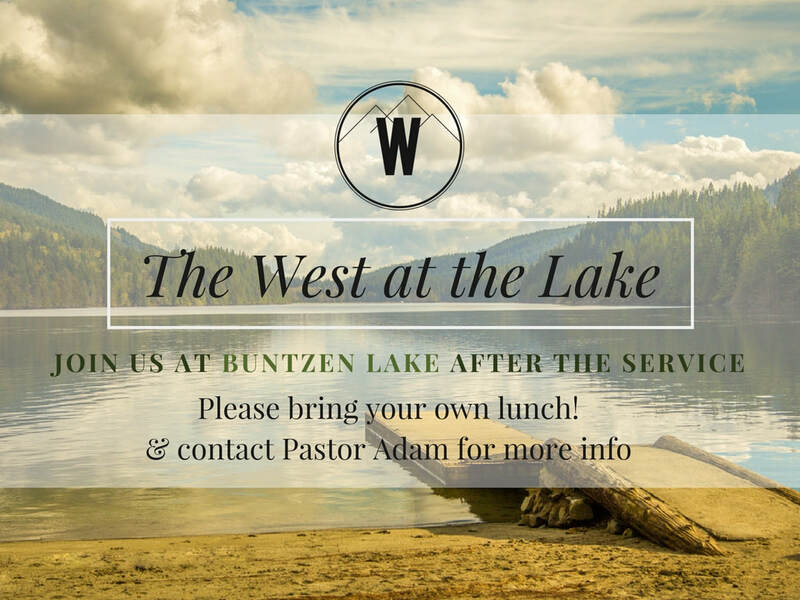 On Sunday, July 30th, The West will be having a special summer meeting ​at Buntzen Lake! 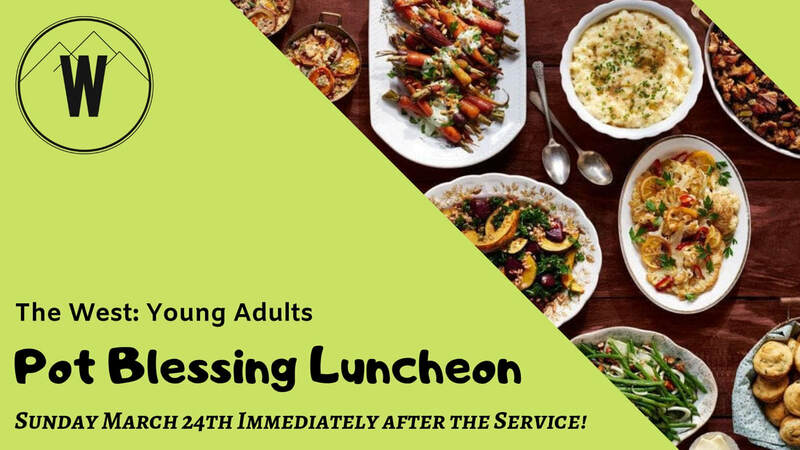 Young Adults, join us at the lake right after the service & bring your own lunch! Contact Pastor Adam for more info. ​At the end of the month of June, we will be holding an evangelistic outreach for our Youth and Young Adults. 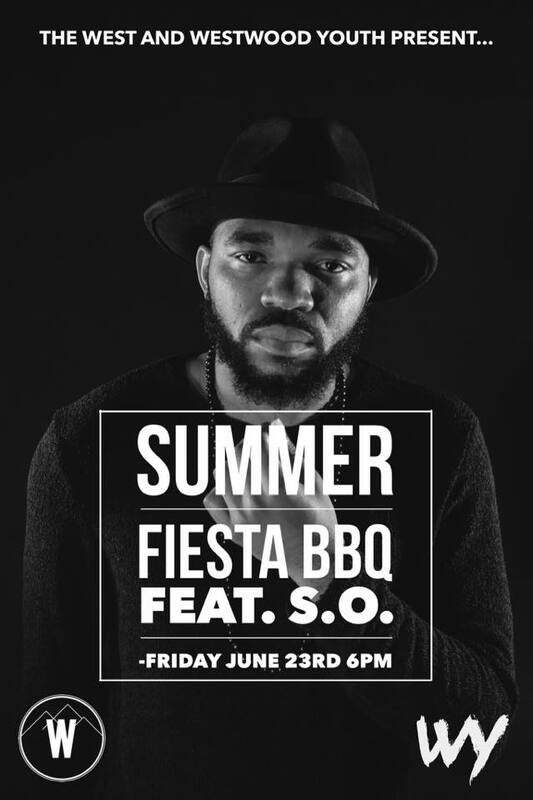 We will be having with us a Christian Hip-Hop Artist and an Evangelist who will be sharing the Gospel after a BBQ! ​Contact Pastor Adam for more info. 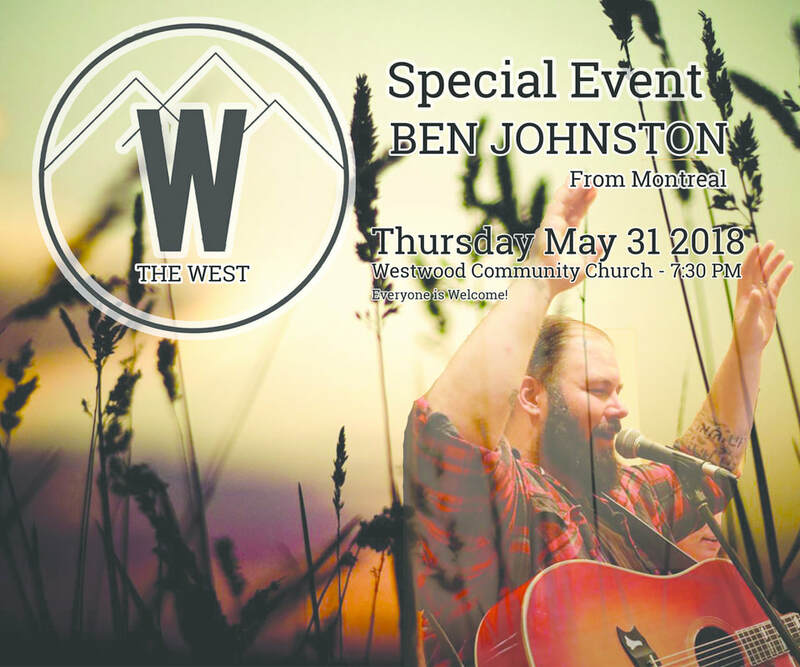 We want to invite all our WCC young adults to THE WEST on Sunday, May 28th in our Fellowship Hall at 6PM. 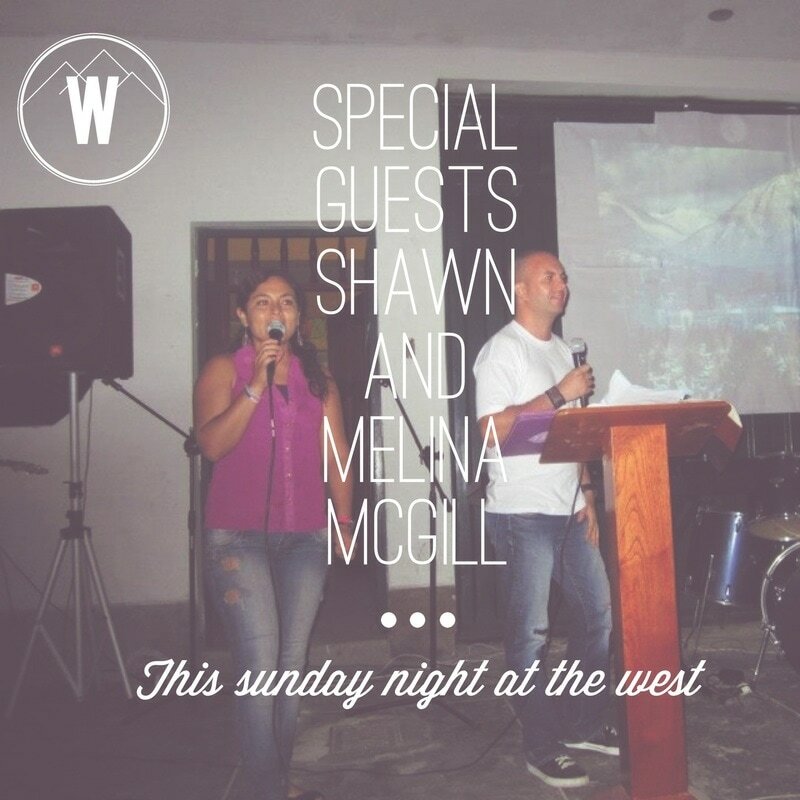 We have with us special guests Shawn and Melina Mcgill. Shawn and Melina are missionaries to Peru and have a huge heart to share the Gospel to anyone who would listen. Shawn will be sharing his testimony of how the Lord saved him from a life of drug trafficking and gangs. 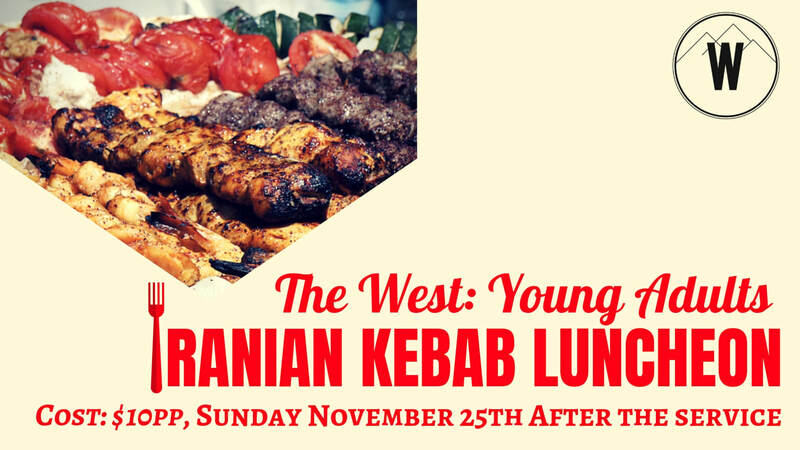 Don’t miss this out on this wonderful evening with the young people of THE WEST!